“While good people delivers good solutions, passionate people delivers inspired results”. Adriana provides leadership and strategic direction for the Human Resources and Health and Safety services, policies and programmes within Scion. She is an international award-winning Human Resources executive with over 20 years of experience gained from working in a multitude of industries both nationally and internationally. Her working experience spans Southern Africa, Australia and New Zealand. Adriana held various executive Human Resources and Organisational Development leadership positions within global companies like OMD (Omnicom Media), Serco, APN News and Media (NZME), Westpac Bank, Deloitte and Barkley’s (ABSA) Bank. She holds a Master’s Degree in Human Resources, a professional qualification in Marketing, Business Management and Business Administration. 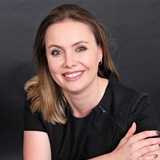 She has extensive experience in facilitating business performance, transformation, specialising in the organisational development, design and change management, complimented through accredition in prosci change management, BAR-ON emotional intellegence and various Psychometric assessment accreditations. Her passion for HR has resulted in various articles and publications on change and transformation, employment branding and employee engagement and led to her involvement in the global HR industry as an international guest speaker at several global conferences.